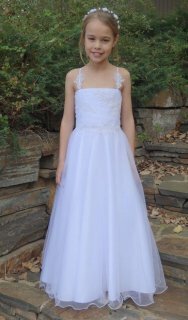 This is a gorgeous communion dress, floor length, A line style. 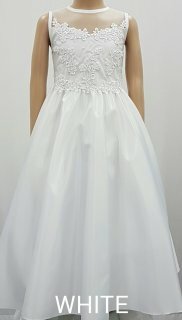 Beautifull hand beading on the bodice makes this dress stand out, also the drape effect across the front makes it very stylish. 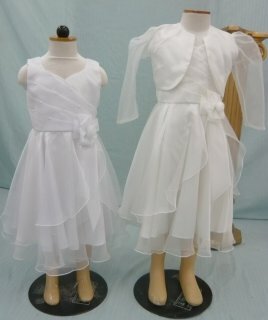 Closed zipper, with a tie sash. 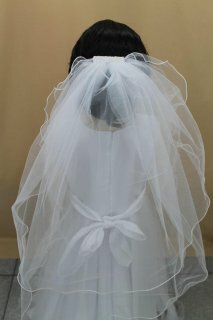 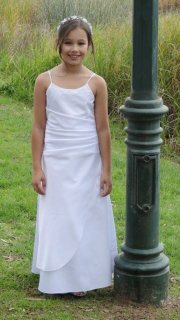 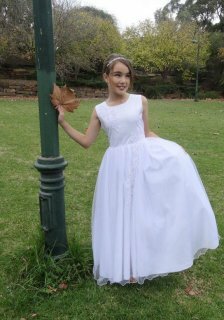 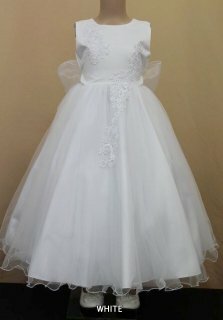 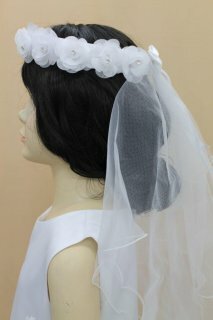 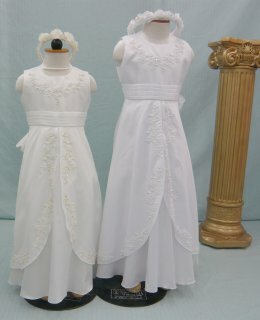 This beautiful classic dress is ideal for all occasions, flower girl, communion, birthdays. 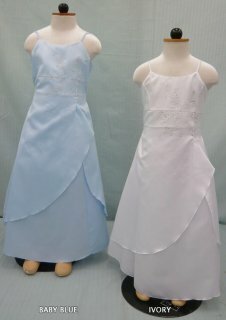 The dress is satin fully lined floor length, with a beautiful beaded bodice and a soft tulle neck line.